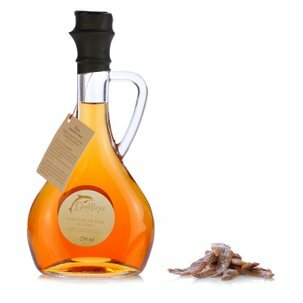 An authentic speciality from the gastronomic tradition of Cetara on the Italian Amalfi coast, prepared to an ancient traditional recipe and with the same enthusiasm that distinguishes the Delfino company from the rest. Eataly invites you to discover a special product that has its origins in the recipes of the Amalfi monks. The ritual of salting and filtering the anchovy extract has been handed down from generation to generation, guaranteeing a tasty, healthy product, rich in vitamins and easy to digest. 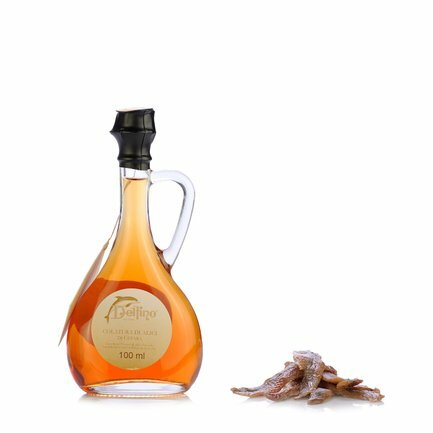 Try the anchovy sauce as a condiment for a good bowl of spaghetti, adding a little chilli pepper, garlic and parsley...for a dish suited to real connoisseurs! Passion, strong family connections, hard work: this is the essence of the Delfino Battista company, a point of reference for all production activity in Cetara. But why are these products always so good? Simple, because they do not contain additives or preservatives and because they are produced in the same way as they used to be, respecting the traditional recipes that maintain the taste and quality of the best prime ingredients. Eataly has chosen Delfino because they produce good, healthy food products that allow you to eat well.